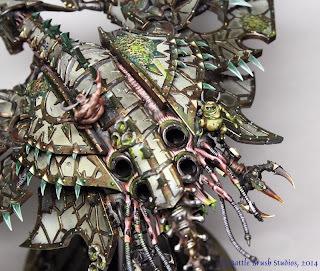 Proceeding with the Nurgly parade of big but icky things - here's the Heldrake! 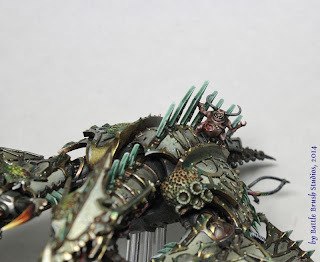 Again this one is adorned with all kinds of ghastly growths and some Nurglings having the ride of their physical manifestation! 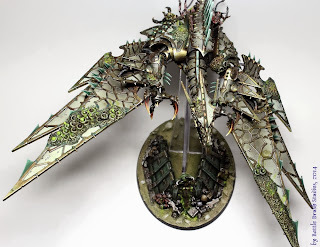 That Heldrake is a funny model. The overall shape reminds me a good deal of Rodan and I won't lie, the metallics were a bit exhausting to do on this one but I had quite some fun with painting the fleshy parts and the nasty growths. The base is also rather richly desiged, taking the viewer's eye a little off the flying stand. It's a little bastion (painted to fit the client's other fortification terrain) some Nurglings have claimed for Pappa and they're more than ready and willing to pour horrible things towards everybody who gets to close. 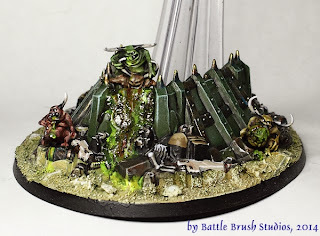 Hope you like the model! 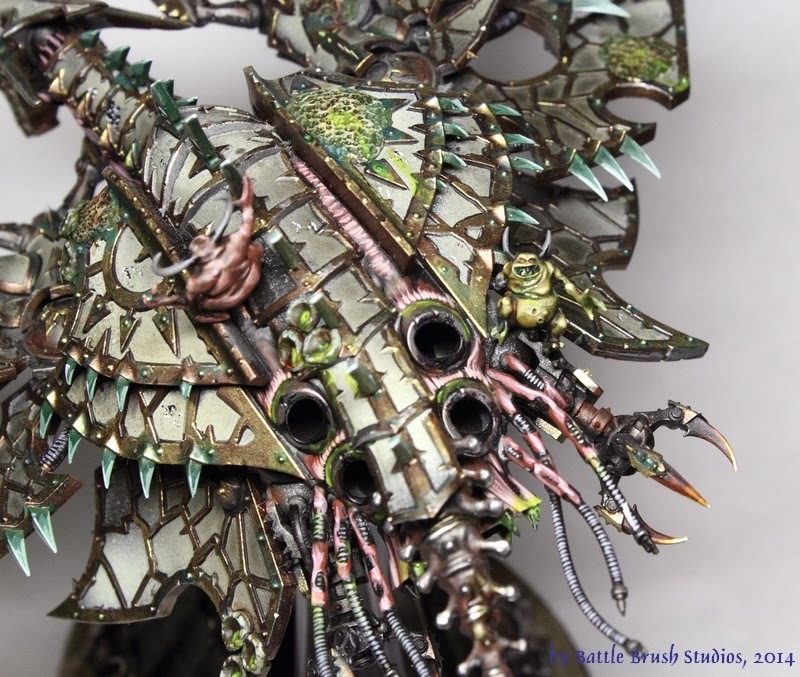 Best looking Heldrake I've ever seen. How did you achieve that gray?